Ireland KM, Bonfiglio TA. "Frank Vellios, 1922 to 2011." International journal of gynecological pathology : official journal of the International Society of Gynecological Pathologists.. 2012 Sep 0; 31(5):497-8. Wagner DG, Russell DK, Benson JM, Schneider AE, Hoda RS, Bonfiglio TA. "Cellient™ automated cell block versus traditional cell block preparation: a comparison of morphologic features and immunohistochemical staining." Diagnostic cytopathology.. 2011 Oct 0; 39(10):730-6. Epub 2010 Oct 14. Fiscella J, Bonfiglio T, Winters P, Eisinger SH, Fiscella K. "Distinguishing features of endometrial pathology after exposure to the progesterone receptor modulator mifepristone." Human pathology.. 2011 Jul 0; 42(7):947-53. Epub 2011 Feb 11. Liao SY, Rodgers WH, Kauderer J, Bonfiglio TA, Darcy KM, Carter R, Levine L, Spirtos NM, Susumu N, Fujiwara K, Walker JL, Hatae M, Stanbridge EJ. "Carbonic anhydrase IX (CA-IX) and high-risk human papillomavirus (H-HPV) as diagnostic biomarkers of cervical dysplasia/neoplasia in Japanese women with a cytologic diagnosis of atypical glandular cells (AGC): a Gynecologic Oncology Group (GOG) Study." British journal of cancer.. 2011 Jan 18; 104(2):353-60. Epub 2010 Dec 14. Wagner DG, Weisensel J, Mentrikoski MJ, Leo SD, Bonfiglio TA, Hoda RS. "ThinPrep Pap test of endocervical adenocarcinoma with lymph node metastasis: report of a case in a 17-year-old woman." Diagnostic cytopathology.. 2010 Sep 0; 38(9):633-8. Thrall MJ, Russell DK, Facik MS, Yao JL, Warner JN, Bonfiglio TA, Giampoli EJ. "High-risk HPV testing in women 30 years or older with negative Papanicolaou tests: initial clinical experience with 18-month follow-up." American journal of clinical pathology.. 2010 Jun 0; 133(6):894-8. Subik K, Lee JF, Baxter L, Strzepek T, Costello D, Crowley P, Xing L, Hung MC, Bonfiglio T, Hicks DG, Tang P. "The Expression Patterns of ER, PR, HER2, CK5/6, EGFR, Ki-67 and AR by Immunohistochemical Analysis in Breast Cancer Cell Lines." Breast cancer : basic and clinical research.. 2010 May 20; 4:35-41. Epub 2010 May 20. Liao SY, Rodgers WH, Kauderer J, Bonfiglio TA, Walker JL, Darcy KM, Carter R, Hatae M, Levine L, Spirtos NM, Stanbridge EJ. "Carbonic anhydrase IX and human papillomavirus as diagnostic biomarkers of cervical dysplasia/neoplasia in women with a cytologic diagnosis of atypical glandular cells: a Gynecologic Oncology Group study in United States." International journal of cancer.. 2009 Nov 15; 125(10):2434-40. Eisinger SH, Fiscella J, Bonfiglio T, Meldrum S, Fiscella K. "Open-label study of ultra low-dose mifepristone for the treatment of uterine leiomyomata." European journal of obstetrics, gynecology, and reproductive biology.. 2009 Oct 0; 146(2):215-8. Epub 2009 Jul 07. Solomon D, Papillo JL, Davey DD, . "Statement on human papillomavirus DNA test utilization." Cancer.. 2009 Jun 25; 117(3):154-6. Miyamoto H, Jones CE, Raymond DP, Wandtke JC, Strang JG, Bourne PA, Bonfiglio TA, Xu H. "Pulmonary metastases from uterine neoplasms after long tumour-free interval: four cases and review of the literature." Pathology.. 2009 41(3):234-41. Thrall MJ, Russell DK, Bonfiglio TA, Hoda RS. "Use of the ThinPrep Imaging System does not alter the frequency of interpreting Papanicolaou tests as atypical squamous cells of undetermined significance." CytoJournal. 2008 Apr 24; 5:10. Epub 2008 Apr 24. Wang SS, Smiraglia DJ, Wu YZ, Ghosh S, Rader JS, Cho KR, Bonfiglio TA, Nayar R, Plass C, Sherman ME. "Identification of novel methylation markers in cervical cancer using restriction landmark genomic scanning." Cancer research.. 2008 Apr 1; 68(7):2489-97. Hanley KZ, Facik MS, Bourne PA, Yang Q, Spaulding BO, Bonfiglio TA, Xu H. "Utility of anti-L523S antibody in the diagnosis of benign and malignant serous effusions." Cancer.. 2008 Feb 25; 114(1):49-56. Shivapurkar N, Sherman ME, Stastny V, Echebiri C, Rader JS, Nayar R, Bonfiglio TA, Gazdar AF, Wang SS. "Evaluation of candidate methylation markers to detect cervical neoplasia." Gynecologic oncology.. 2007 Dec 0; 107(3):549-53. Epub 2007 Sep 25. Cramer SF, Newcomb PM, Bonfiglio TA. "Myometrial dysplasia (atypical myometrial hyperplasia)." Human pathology.. 2007 Apr 0; 38(4):652-5. Birdsong G, Howell L, Atkison K, Austin RM, Bibbo M, Bonfiglio TA, Davey DD, Keebler C, Mody D, Savaloja L, Papillo J, Prey M, Raab S, Schultz BL, Solomon D. "Scientific issues related to the cytology proficiency testing regulations." CytoJournal. 2006 Apr 18; 3:11. Epub 2006 Apr 18. Liman AK, Giampoli EJ, Bonfiglio TA. "Should women with atypical squamous cells, cannot exclude high-grade squamous intraepithelial lesion, receive reflex human papillomavirus-DNA testing?" Cancer.. 2005 Dec 25; 105(6):457-60. Eisinger SH, Bonfiglio T, Fiscella K, Meldrum S, Guzick DS. "Twelve-month safety and efficacy of low-dose mifepristone for uterine myomas." Journal of minimally invasive gynecology.. 2005 12(3):227-33. Bonfiglio TA. "History of gynecologic pathology: XIII. Dr. James W. Reagan." International journal of gynecological pathology : official journal of the International Society of Gynecological Pathologists.. 2003 Jan 0; 22(1):95-100. Bonfiglio TA. "Atypical squamous cells of undetermined significance: a continuing controversy." Cancer.. 2002 Jun 25; 96(3):125-7. Baandrup U, Bishop JW, Bonfiglio TA, Branca M, Hutchinson ML, Laverty CR, Ahmad J, Illescas LT, Obwegeser JH, Patnick J, Pogacnik A, Rosenthal DL, Suprun HZ, Verhest A, Richart RM. "Sampling, sampling errors and specimen preparation." Acta cytologica.. 2000 44(6):944-8. Bonfiglio TA. "Diagnostic cytology of the uterine cervix: a major contribution and classic reference in gynecologic cytopathology." Cancer.. 1997 Dec 25; 81(6):324-7. Patten SF, Lee JS, Wilbur DC, Bonfiglio TA, Colgan TJ, Richart RM, Cramer H, Moinuddin S. "The AutoPap 300 QC System multicenter clinical trials for use in quality control rescreening of cervical smears: I. A prospective intended use study." Cancer.. 1997 Dec 25; 81(6):337-42. Patten SF, Lee JS, Wilbur DC, Bonfiglio TA, Colgan TJ, Richart RM, Cramer H, Moinuddin S. "The AutoPap 300 QC System multicenter clinical trials for use in quality control rescreening of cervical smears: II. Prospective and archival sensitivity studies." Cancer.. 1997 Dec 25; 81(6):343-7. Bonfiglio TA. 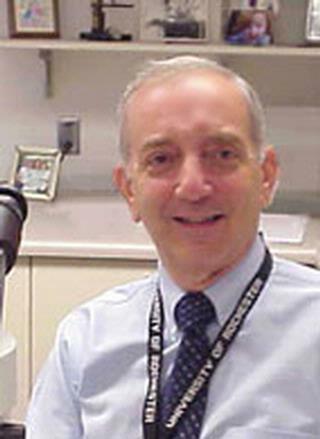 "Cervical cytology: perspectives from both sides of the Atlantic." Human pathology.. 1997 Feb 0; 28(2):117-9. Babkowski RC, Wilbur DC, Rutkowski MA, Facik MS, Bonfiglio TA. "The effects of endocervical canal topography, tubal metaplasia, and high canal sampling on the cytologic presentation of nonneoplastic endocervical cells." American journal of clinical pathology.. 1996 Apr 0; 105(4):403-10. Wilbur DC, Bonfiglio TA, Rutkowski MA, Atkison KM, Richart RM, Lee JS, Patten SF. "Sensitivity of the AutoPap 300 QC System for cervical cytologic abnormalities. Biopsy data confirmation." Acta cytologica.. 1996 40(1):127-32. La Budde JK, Orosz JF, Bonfiglio TA, Pellegrini VD. "Particulate titanium and cobalt-chrome metallic debris in failed total knee arthroplasty. A quantitative histologic analysis." The Journal of arthroplasty.. 1994 Jun 0; 9(3):291-304. Wilbur DC, Cibas ES, Merritt S, James LP, Berger BM, Bonfiglio TA. "ThinPrep Processor. Clinical trials demonstrate an increased detection rate of abnormal cervical cytologic specimens." American journal of clinical pathology.. 1994 Feb 0; 101(2):209-14. Abulafia O, Angel C, Sherer DM, Fultz PJ, Bonfiglio TA, DuBeshter B. "Computed tomography of leiomyomatosis peritonealis disseminata with malignant transformation." American journal of obstetrics and gynecology.. 1993 Jul 0; 169(1):52-4. Rosai J, Bonfiglio TA, Corson JM, Fechner RE, Harris NL, LiVolsi VA, Silverberg SG. "Standardization of the surgical pathology report." Modern pathology : an official journal of the United States and Canadian Academy of Pathology, Inc.. 1992 Mar 0; 5(2):197-9. Huang KE, Bonfiglio TA, Muechler EK. "Transient hyperprolactinemia in infertile women with luteal phase deficiency." Obstetrics and gynecology.. 1991 Oct 0; 78(4):651-5. Sutton GP, Bundy BN, Omura GA, Yordan EL, Beecham JB, Bonfiglio T. "Stage III ovarian tumors of low malignant potential treated with cisplatin combination therapy (a Gynecologic Oncology Group study)." Gynecologic oncology.. 1991 Jun 0; 41(3):230-3. Dvoretsky PM, Richards KA, Bonfiglio TA. "The pathology and biologic behavior of ovarian cancer. An autopsy review." Pathology annual. 1989 24 Pt 1:1-24. Bonfiglio TA. "Quality assurance in cytopathology. Recommendations and ongoing quality assurance activities of the American Society of Clinical Pathologists." Acta cytologica.. 1989 33(4):431-3. Dvoretsky PM, Richards KA, Angel C, Rabinowitz L, Beecham JB, Bonfiglio TA. "Survival time, causes of death, and tumor/treatment-related morbidity in 100 women with ovarian cancer." Human pathology.. 1988 Nov 0; 19(11):1273-9. Bonfiglio TA, Stoler MH. "Human papillomavirus and cancer of the uterine cervix." Human pathology.. 1988 Jun 0; 19(6):621-2. Bonfiglio TA. "Neuroendocrine carcinoma of the skin: diagnostic and management considerations." International journal of radiation oncology, biology, physics.. 1988 Jun 0; 14(6):1321-2. LeBoit PE, Berger TG, Egbert BM, Yen TS, Stoler MH, Bonfiglio TA, Strauchen JA, English CK, Wear DJ. "Epithelioid haemangioma-like vascular proliferation in AIDS: manifestation of cat scratch disease bacillus infection?" Lancet.. 1988 Apr 30; 1(8592):960-3. Wilbur DC, Bonfiglio TA, Stoler MH. "Continuity of human papillomavirus (HPV) type between neoplastic precursors and invasive cervical carcinoma. An in situ hybridization study." The American journal of surgical pathology.. 1988 Mar 0; 12(3):182-6. Listinsky CM, Bonfiglio TA, Leary J. "Variable ploidy of ovarian clear cell carcinomas. Implications for adequacy of tissue sampling." Analytical and quantitative cytology and histology / the International Academy of Cytology [and] American Society of Cytology. 1988 Feb 0; 10(1):21-7. Dvoretsky PM, Richards KA, Angel C, Rabinowitz L, Stoler MH, Beecham JB, Bonfiglio TA. "Distribution of disease at autopsy in 100 women with ovarian cancer." Human pathology.. 1988 Jan 0; 19(1):57-63. Griffiths HJ, Burke J, Bonfiglio TA. "Granulomatous pseudotumors in total joint replacement." Skeletal radiology.. 1987 16(2):146-52. Muechler EK, Bonfiglio T, Choate J, Huang KE. "Pregnancy induced with menotropins in a woman with polycystic ovaries, endometrial hyperplasia, and adenocarcinoma." Fertility and sterility.. 1986 Nov 0; 46(5):973-5. Dvoretsky PM, Bonfiglio TA. "The pathology of vulvar squamous cell carcinoma and verrucous carcinoma." Pathology annual. 1986 21 Pt 2:23-45. Griffiths HJ, Utz R, Burke J, Bonfiglio T. "Adhesive capsulitis of the hip and ankle." AJR. American journal of roentgenology.. 1985 Jan 0; 144(1):101-5.
di Sant'Agnese PA, de Mesy Jensen KL, Bonfiglio TA, King DE, Patten SF. "Plastic-embedded semi-thin sections of fine needle aspiration biopsies with dibasic staining. Diagnostic and didactic applications." Acta cytologica.. 1985 29(3):477-83. Dvoretsky PM, Bonfiglio TA, Patten SF, Helmkamp BF. "Pemphigus vulgaris and microinvasive squamous-cell carcinoma of the uterine cervix." Acta cytologica.. 1985 29(3):403-10. Bonfiglio TA, Dvoretsky PM, Piscioli F, dePapp EW, Patten SF. "Fine needle aspiration biopsy in the evaluation of lymphoreticular tumors of the thorax." Acta cytologica.. 1985 29(4):548-53. Tang FY, Bonfiglio TA, Tang LK. "Effect of estrogen and progesterone on the development of endometrial hyperplasia in the Fischer rat." Biology of reproduction.. 1984 Sep 0; 31(2):399-413. Huang KE, Muechler EK, Bonfiglio TA. "Follicular phase treatment of luteal phase defect with follicle-stimulating hormone in infertile women." Obstetrics and gynecology.. 1984 Jul 0; 64(1):32-6. Knauf S, Taillon-Miller P, Helmkamp BF, Bonfiglio TA, Beecham JB. "Selectivity for ovarian cancer of an improved serum radioimmunoassay for human ovarian tumor-associated antigen NB/70K." Gynecologic oncology.. 1984 Mar 0; 17(3):349-55. Mitchell ML, King DE, Bonfiglio TA, Patten SF. "Pulmonary fine needle aspiration cytopathology. A five-year correlation study." Acta cytologica.. 1984 28(1):72-6. Dvoretsky PM, Bonfiglio TA, Helmkamp BF, Ramsey G, Chuang C, Beecham JB. "The pathology of superficially invasive, thin vulvar squamous cell carcinoma." International journal of gynecological pathology : official journal of the International Society of Gynecological Pathologists.. 1984 3(4):331-42. Stoler MH, Bonfiglio TA, Steigbigel RT, Pereira M. "An atypical subcutaneous infection associated with acquired immune deficiency syndrome." American journal of clinical pathology.. 1983 Nov 0; 80(5):714-8. Helmkamp BF, Denslow BL, Bonfiglio TA, Beecham JB. "Cervical conization: when is uterine dilatation and curettage also indicated?" American journal of obstetrics and gynecology.. 1983 Aug 15; 146(8):893-4. Griffiths HJ, Robinson K, Bonfiglio TA. "Aggressive fibromatosis." Skeletal radiology.. 1983 9(3):179-84. Horan DC, Bonfiglio TA, Patten SF. "Fine needle aspiration cytopathology of bronchial carcinoid tumors: an analytical study of the cells." Analytical and quantitative cytology. 1982 Jun 0; 4(2):105-9. Muechler EK, Cary D, Friedrich MA, Doherty RA, Donaldson CH, Bonfiglio T. "Hormonal and cytogenetic studies in phenotypically female patients with gonadal dysgenesis." International journal of gynaecology and obstetrics : the official organ of the International Federation of Gynaecology and Obstetrics.. 1981 Apr 0; 19(2):109-18. Bonfiglio TA. "Fine needle aspiration biopsy of the lung." Pathology annual. 1981 16 Pt 1:159-80. Dvoretsky PM, Woodard E, Bonfiglio TA, Hempelmann LH, Morse IP. "The pathology of breast cancer in women irradiated for acute postpartum mastitis." Cancer.. 1980 Nov 15; 46(10):2257-62. Magin RL, Fridd CW, Bonfiglio TA, Linke CA. "Thermal destruction of the canine prostate by high intensity microwaves." The Journal of surgical research.. 1980 Sep 0; 29(3):265-75. Frable WJ, Bonfiglio TA, Kaminsky DB, Murphy WM. "Diagnostic cytology seminar." Acta cytologica.. 1980 24(2):90-136. Macintosh PK, Bonfiglio TA. "Technical considerations of interventional radiology. Unit design and coordination of diagnostic pathology services." Radiologic clinics of North America.. 1979 Dec 0; 17(3):623-36. Dziura BR, Bonfiglio TA. "Needle cytology of the breast. A quantitative and qualitative study of the cells of benign and malignant ductal neoplasia." Acta cytologica.. 1979 23(4):332-40. Bonfiglio TA, MacIntosh PK, Patten SF, Cafer DJ, Woodworth FE, Kim CW. "Fine needle aspiration cytopathology of retroperitoneal lymph nodes in the evaluation of metastatic disease." Acta cytologica.. 1979 23(2):126-30. Salazar OM, Bonfiglio TA, Patten SF, Keller BE, Feldstein M, Dunne ME, Rudolph J. "Uterine sarcomas: natural history, treatment and prognosis." Cancer.. 1978 Sep 0; 42(3):1152-60. Salazar OM, Bonfiglio TA, Patten SF, Keller BE, Feldstein ML, Dunne ME, Rudolph JH. "Uterine sarcomas: analysis of failures with special emphasis on the use of adjuvant radiation therapy." Cancer.. 1978 Sep 0; 42(3):1161-70. Salazar OM, Feldstein ML, DePapp EW, Bonfiglio TA, Keller BE, Rubin P, Rudolph JH. "The management of clinical stage I endometrial carcinoma." Cancer.. 1978 Mar 0; 41(3):1016-26. Salazar OM, DePapp EW, Bonfiglio TA, Feldstein ML, Rubin P, Rudolph JH. "Adenosquamous carcinoma of the endometrium. An entity with an inherent poor prognosis?" Cancer.. 1977 Jul 0; 40(1):119-30. Geirsson G, Woodworth FE, Patten SF, Bonfiglio TA. "Epithelial repair and regeneration in the uterine cervix. I. An analysis of the cells." Acta cytologica.. 1977 21(3):371-8. Salazar OM, Feldstein ML, DePapp EW, Bonfiglio TA, Keller BE, Rubin P, Rudolph JH. "Endometrial carcinoma: analysis of failures with special emphasis on the use of initial preoperative external pelvic radiation." International journal of radiation oncology, biology, physics.. 1977 2(11-12):1101-7. Bonfiglio TA, Feinberg MR. "Isoantigen loss in cervical neoplasia. Demonstration by immunofluorescence and immunoperoxidase techniques." Archives of pathology & laboratory medicine.. 1976 Jun 0; 100(6):307-14. Bonfiglio TA, Patten SF. "Histopathologic spectrum of benign proliferative and intraepithelial neoplastic reactions of the uterine cervix." The Journal of reproductive medicine.. 1976 May 0; 16(5):253-62. Bonfiglio TA, Patten SF, Woodworth FE. "Fibroxanthosarcoma of the uterine cervix: cytopathologic and histopathologic manifestations." Acta cytologica.. 1976 20(6):501-4. Fridd CW, Marphy J, Linke CA, Bonfiglio TA. "Response of rat testis to localized induced hyperthermia." Urology.. 1975 Jan 0; 5(1):76-82. Rashid HA, Linke CA, Bonfiglio T, Wu MS. "Renal cortical necrosis: a model for the study of juxtamedullary nephron physiology." Journal of applied physiology.. 1974 Aug 0; 37(2):228-34. Bonfiglio TA, Schenk EA. "Lipid deposits in pulmonary connective tissue." Archives of pathology.. 1974 Jan 0; 97(1):48-50. Bonfiglio TA, Botti RE, Hagstrom JW. "Coronary arteritis, occlusion, and myocardial infarction due to lupus erythematosus." American heart journal.. 1972 Feb 0; 83(2):153-8. Bonfiglio T, Atwater EC. "Heart disease in patients with seropositive rheumatoid arthritis; a controlled autopsy study and review." Archives of internal medicine.. 1969 Dec 0; 124(6):714-9. Battle CU, Bonfiglio TA, Miller DR. "Pericarditis as the initial manifestation of acute leukemia: report of a case." The Journal of pediatrics.. 1969 Oct 0; 75(4):692-4. Author List: Bonfiglio T.A., Erozan Y. Book Title: Histologic Typing of Female Genital Tract Tumors. SecondEdition. Book Title: Cytopathologic Interpretation of Transthoracic Fine Needle Biopsies. Author List: Thomas A. Bonfiglio, M.D.